From Stella: Basically, not only is Batgirl canceled, but so is any other potential superheroine movie. This breaks my heart on so many levels and I think that, as a comic community, we can show Timm and Register that Batgirl would be an amazing production and it would sell! I believe that she reaches people whom Wonder Woman never could. It literally takes 30 seconds to sign! The petition will be sent along with written letters to Bruce Timm, Sam Register, and other folks. That’s the gist of it. If you are interested in signing the petition, click here. There are currently about 450 signatures, so we need quite a few more. Also, be sure to check out Stella’s podcast/blog Batgirl to Oracle: The Barbara Gordon podcast by clicking here. I liked the Wonder Woman DTV movie for the most part. But that’s just my opinion, I could be wrong. I signed the petition because I want a more varied DTV DC experience. Enough with Batman already. 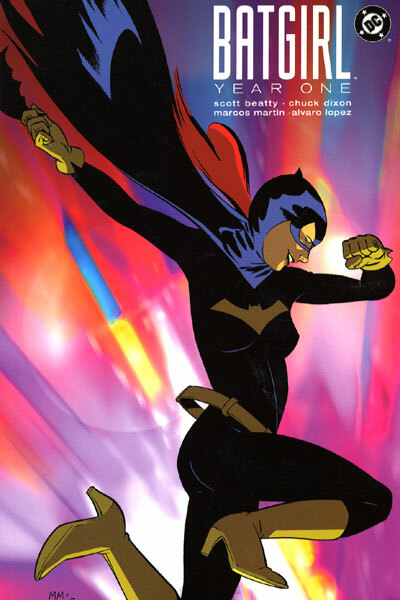 If they make this movie, they should bring back Tara Strong as Batgirl. I agree with James. Would love to see this production happen.